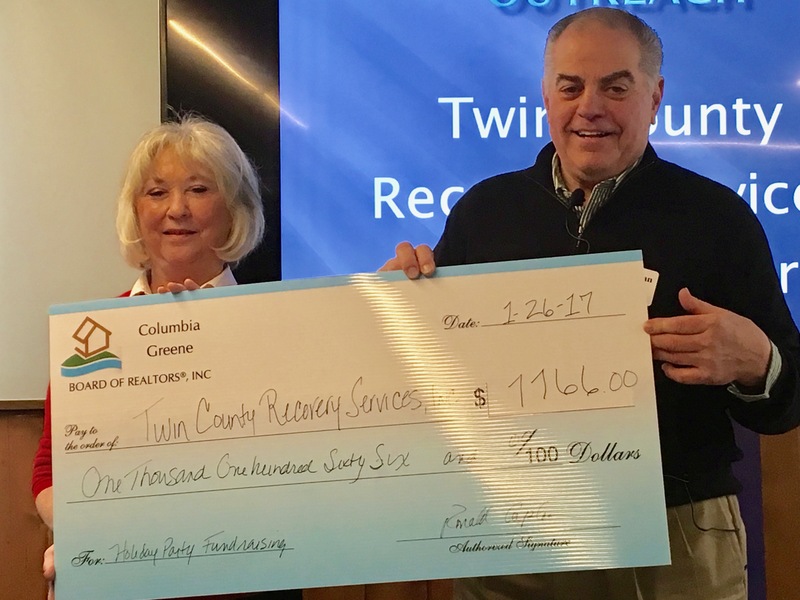 Twin County Recovery Services provides in-patient and out-patient programs for individuals seeking to recover from substance abuse addiction in Columbia and Greene Counties. The agency also provides prevention programs and drinking driver education. Suzanne Close, association executive for the REALTOR organizations, said TCRS was selected this year to help address addiction issues — opioid addiction in particular. At its Jan. 26 meeting, Ron Caplan, president of the CGBR, presented a check to Beth Schuster of TWRS. Posted in News & Local Information.